On behalf of the whole team, I would like to welcome you to our hotel. Visit our bar, Le Copen, for local beers and relax in our comfortable rooms. We also offer fully equipped apartments with a kitchen and WIFI. Our team welcomes you with a smile and will do everything we can to ensure you have a pleasant stay at our hotel. We are located just 8 minutes from the city center and close to the two main highways. Immerse yourself in decor reminiscent of the golden ag e of Louvière's pottery works. Royal Boch-Keramis earthenware was the crown jewel of industry in the region and several collections are still being produced today. You can find the Copenhague collection in our new lobby, which boasts a new bar, "Copen". Our hotel is located close to the A15/E42 highway, making it easily accessible by car. La Louvière train station is 3.7 miles (6 km) from the hotel, and Charleroi airport is only 12.4 miles (20 km) away. 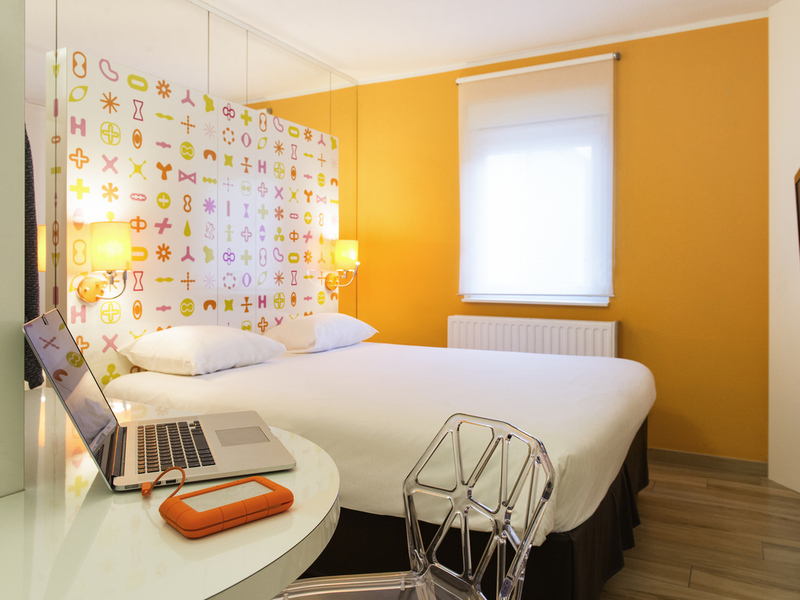 Discover our 96 air-conditioned, renovated rooms. Our Standard Rooms are equipped with 32-inch TVs. The bathroom is equipped with a shower and hairdryer. Our Superior, Double Rooms are equipped with 40-inch flat-screen TVs. The bathroom is equipped with a bathtub and shower, and a hairdryer.